If you have yet to view Hulu’s wildly popular, highly creepy, Emmy-winning series The Handmaid’s Tale because you lack a subscription, now’s your chance to get it under your eyes. 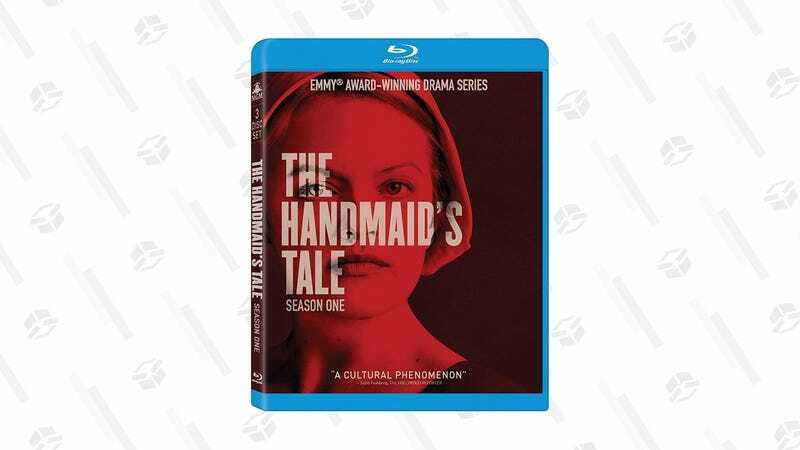 Season 1 of the show, which is based on Margaret Atwood’s 1985 dystopian-yet-oddly-topical novel of the same name, is available on Blu-ray for just $15 at Amazon right now. So go ahead and get your glimpse of Gilead on the cheap, but then promptly shut off your TV when it’s over, because that place is a freaking nightmare.